Beech View comprises of 2 Penthouse & 4 Executive Apartments, each striving to provide our guests with the best in comfort for the duration of their stay. Whether your visit to Kilkenny is to play golf, attend a corporate meeting, shopping,site seeing or to sample the wonderful entertainment & nightlife that Kilkenny has to offer, you will have peace of mind in knowing that you can relax on your return to Beech View. Each apartment has been designed, furnished and equipped to very high standards and offers the luxury of a first class hotel with the added privacy, flexibility and comfort of your own home. The apartments offer visiting executives and holiday makers a perfect location whilst in Kilkenny.Each of Beech View's two self catering Penthouse Apartments are decorated to the highest standard providing our guests with spacious accommodation and comfort. Modern day living. Spacious open plan lounge /kitchen area High standard kitchen & appliances including cooker, washing machine, microwave and dishwasher. Contact Property Owner for best rates. 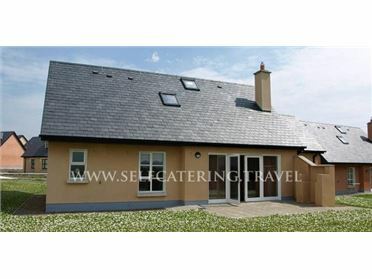 Wedding accommodation ,Hen Party accommodation, Family Accommodation in Kilkenny, Holiday breaks to Kilkenny .Short & Long Term lettings parties and Hen parties seeking self catering accommodationin in Kilkenny. Each of Beech View's four self catering Executive Apartments are decorated to the highest standard providing our guests with spacious accommodation and comfort. On site there is a Deli/Convenience Store, pharmacy and hairdressers.